Edison Pen Co – Introducing the Menlo Pump Filler! Introducing the Menlo Pump Filler! We are very excited to introduce a new pen and new filling system to the Signature Line! This is a Pump Filler. Unless I’m mistaken, we are the only modern pen company offering this filling system. 1:21 Why called a Pump Filler? The Menlos that are in stock and ready to ship can be found here. Wow…just WOW! Looks like you hit this one out of the park Brian! Brian, could other models, like a Pearl, be fitted with the new system? Classic design and a very pleasing shape. I really liked the demo of filling the demonstrator. Cool to see how it works. And your music selections with the videos are great. Thanks everyone! David, yes this filling system will be offered on other pens beside just the Menlo. I’ll announce this officially sometime after the DC Pen Show. Email me if you are interested in talking about this prior to the announcement. What testing have you done on the rubber please Brian? That seems the weak spot in the design? Is it replaceable? Yes, the same as the Vacs, over 30+ years (I’m estimating), the diaphragm might need replaced, the same as other pens using a sac or diaphragm. In all fairness, the same thing will happen to the orings, gaskets, and piston seals on other modern pens over 30+ years. These will also deteriorate. There’s a reason that pen repair sites do not just sell sacs and diaphragms. They also sell orings, gaskets and replacement piston seals. This is simply a normal part of pen maintenance over the very long term. 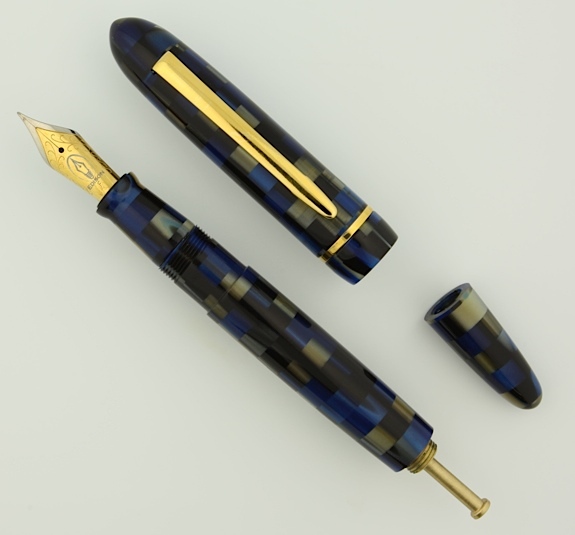 We decided to make sure that this maintenance would be easy to have done by any of the pen restorers our there. They won’t have to learn any new skills. And of course, this is assuming that for some reason, we are not here to service the pen. The page is nearly created, I just need to finish it and get it linked up to the main page! Hopefully today, but honestly, the content repeats this blog post, so I have it on the backburner for today! I’M ALL IN! Best FP I’ve seen in a while. 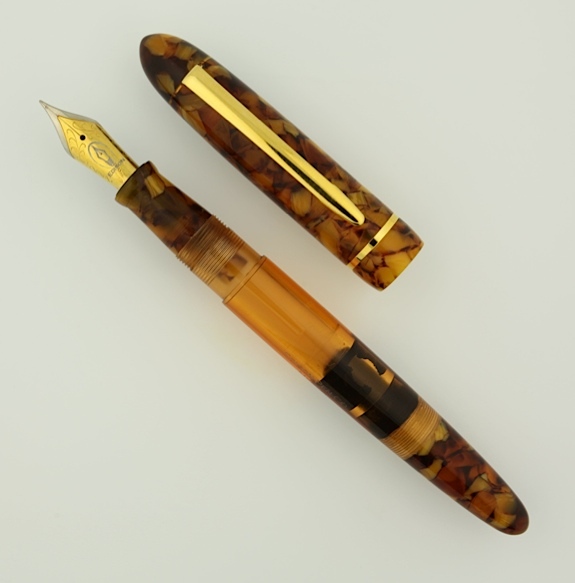 Looking forward to seeing this at the DC pen show. Have an Edison that gets used on a regular basis, wouldn’t mind seeing the Menlo as a new favorite. Great design!! Really lovely pen, Brian. I love it. I’d originally thought "ebonite" but bought the Black Rose Acrylic – just gorgeous. The blind cap is very sturdy, and as usual – no joins! The people who designed the original system would be so pleased to know someone had picked up the torch. If someone needed some more of the tubing to convert another No. 6 nib which they already owned, would you be happy to send a length out to them? 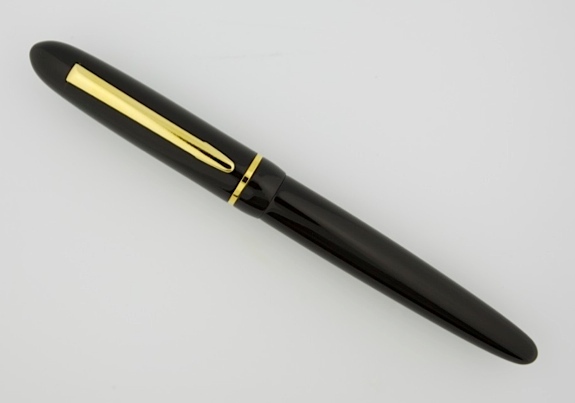 Lovely pen. Wow…just wow!!! Classic design and a very pleasing shape. I will buy, of course!!! !